Susanna Leonard Hill: Would You Read It Wednesday - The 18th Pitch and The Winner! Would You Read It Wednesday - The 18th Pitch and The Winner! First, I have to say that I am such a complete space cadet that I forgot to mention Monday that I was being interviewed on Julie Hedlund's blog for her How I Got My Agent series. I know many of you are Julie's devoted followers and have already read it, but if you haven't please pop over and visit. Julie writes an awesome blog at Write Up My Life and I think you'll find her How I Got My Agent series (although not necessarily my part in it :)) very illuminating and helpful! Thanks, Julie, for inviting me to take part and sorry I forgot to mention it Monday! Second, I have just realized that tomorrow marks my first blogiversary. I can't believe it's been a year! I should probably be doing something wildly and crazily amazing to celebrate, but I'm fresh out of ideas at the moment. If any of you have suggestions, feel free to share! :) But I want to thank everyone for being so wonderfully supportive. I have so enjoyed getting to know so many people who are both talented and nice! :) I think, at the very least, this calls for some celebratory cake! Please help yourself to a slice, because cake definitely counts as a healthy breakfast - milk (calcium), eggs (protein), wheat (grains)... need I say more? Now on to all that excitement you stayed up all night waiting for! I want to thank each and every person who submitted an entry to the Thanksgiving Contest as well as everyone who took time to read and vote. I think I speak for all of us when I say we so enjoyed reading everyone's stories and they were all so wonderful. As you know, my assistant judge and I had a terrible time narrowing down the finalists, but we did at last and now your votes have spoken. (That's entry #2!) Congratulations, Penny! You have officially knocked our socks off :) Please email me (susanna [at] susannahill [dot] com) or use the handy Email Me button on the right hand side of the blog and let me know if you'd prefer the $15 Amazon Gift Card or the hardcover copy of Balloons Over Broadway! And now, on to Would You Read It! This week's pitch comes to us from the lovely Ashley who, until October of last year, considered herself a person who didn't like to write but has now discovered she loves it! The Pitch: Jack wakes up in the hospital to find a mysterious man offering to take her in, to teach her everything she needs to know about being a Wizard, but something deep inside tells her she can't trust him. Ashley is looking forward to your thoughts on her pitch! Congrats on your blogiversary tomorrow, yummy cake! And I love that pitch, it's perfect and the story sounds great! Woo hoo!! 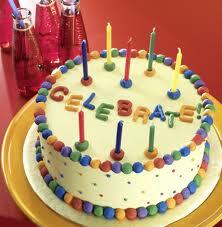 Congratulations all around to Susannah for the first blogoversary and to Penny for a terrific story! Ashley - good pitch - sorry I know zero about YA! I am intrigued by a female MC named Jack though! Sure I would read it....I love her name "Jack", I want to know how she ended up in the hospital and why the mysterious man thinks she would make a good wizard. Happy Blogaversary, Susanna. Wow, you have accomplished so much on your blog for just one year! Mine is a yes on the pitch, though I might change 'something deep inside' to simply 'instinct'. Susanna- Thanksgiving was such a crazy whirlwind and I missed your blog so much! Happy Blogiversary!!! Yes, I would read it. I LOVE the title- it is intriguing on its own. Love a MC girl named Jack- original and perhaps inspirational to young girls out there. I'm always a sucker for waking in the hospital and learning about what leads up to that moment as well as what follows it. Catherine, Cathy, Delores, Joanna and Tracy - Thanks to all for the blogiversary wishes and for your comments for Ashley! I read the interview when I saw it mentioned on PiBoIdMo Facebook page. Very interesting agent story. Thanks for doing the contest. I would say "Yes" your pitch, Ashley. I'm actually surprised at how many of you are interested in Jack's name. When I started writing this story a friend and I went back and forth on the name. In the end, I decided to leave it alone. For the record, it's short for Jacklyn (yep, funny spelling and all). Jack's parents had wanted a boy and got stuck with her instead. @Joanna I believe that "Something inside" is a better descriptor for it than "instinct" only because it has more to with her special abilities (which at that point she doesn't have control over them) than instinct. Congrats on the blogiversary. Congrats to Penny and loved all the entries. I would say maybe on the pitch. Not sure you need the word mysterious in there. I like the name Jack for a girl too. Congratulations Penny. Your entry was very clever and I loved the ending! Susanna, congratulations on your blog anniversary. Doesn't it change your world overnight!! Also saw and read your interview on Julie's blog. You have a lot to celebrate this week! The Pitch -- I love the pitch. Am drawn in immediately and I like the tension. I want to be in line to read it when it's publlished. @bildbok I guess one important thing to know regarding YA (and MG) is that the main character is usually the age you want your readers to be. Since I couldn't find room to stick it in, Jack is 14 at the beginning of the story. And despite what I just said, I didn't write knowing that and I don't think it's true in all cases. I think Prelude to an Apocalypse is probably slightly better suited for older teens (based on some language and situations). Congrats Penny - great entry! The pitch has me intrigued, but I'd need to know a bit more before I'd read. Oh and thanks for reminding folks about the interview Susanna! Funny how I didn't notice that you hadn't mentioned it either - lol! Oh my goodness - so much going on! Congrats on your blogoversary! That is awesome! I need to pop over to Julies and read your interview. I'm sure that will be wonderful! And congrats to Penny! YAY! All the stories were so fun! YES - sounds very interesting! I like that she doesn't think she can trust him. That's what really hooked me - then it's not so similar to everything else. I'm off to read the post about finding your agent, Susanna. I love those kind of posts. By the by....I have a "night before Christmas" short story on Youngish. Yikes! I fell behind y'all this afternoon :) Coleen, Penny, Stacy, Pat, Julie, Julie H., Tasha, Leigh/Abby, and Stina - thank you all so much for your good wishes and comments!!! Happy Blogaversary and congratulations to Penny! PS I really liked the Turkey weatherman!! Woot! Congrats on your first blogoversary, Susanna. Here's what I like about the pitch: that MC is named Jack, that she wakes up in a hospital (I'd like to know why). Here's what I'm not sure about: that she's a wizard (What can you say here to make agent reading know that this is a really different sort of wizard book?). I agree with commenter above-- call the guy something more specific than "mysterious stranger", which is a bit of a cliche. But I think this is a very good start. A bit of polish, and you'll be gold. Well, it is only one line... :) There's only so much you can say there. The book sounds like it has potential but the pitch doesn't quite pack a punch for me. I'd like to maybe hear the man say something. I'd like it to make me feel as unsettled as we're told that Jack feels. Ashley's pitch intrigues me and I hope it gets up the interest of teenage readers who may still have an interest in wizard if they were Harry Potter fans.